Today’s episode is one I’ve been looking forward to for a long time. Marcus Filly is a CrossFit Games athlete who has popularized the functional bodybuilding movement since stepping away from competing with the birth of his first child. What some people might not know is that Marcus got his undergrad degree in Molecular Biology and started on the Medical School path before entering the fitness world. This gives him an incredible perspective on how nutrition and lifestyle influence training results. Marcus is super passionate about strength & conditioning, and his Awaken Training Series, but we talked quite a bit more about nutrition and recovery and less about the nitty gritty of the functional bodybuilding philosophy. If you are interested in functional bodybuilding you should check out Marcus’s Instagram @functionalbodybuilding and his Awaken training series at revival-strength.com. 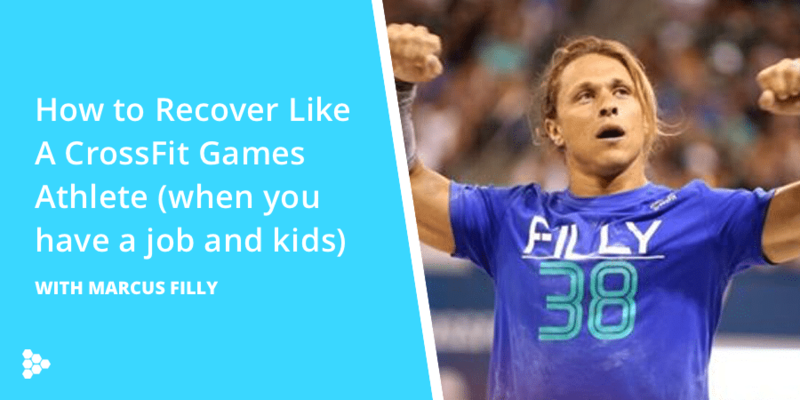 In the meantime, kick back and open up your brain to learn about how to recover like a CrossFit Games athlete, even if you’re just a weekend warrior! [01:51] Where Marcus sees people going wrong with their training. [05:13] His recovery practices during the 2016 Games season. [07:57] He’s current approach to recovery. [10:05] How his approach to recovery can be applied to the general population of CrossFitters. [11:21] His advice on how to sleep properly. [13:16] Marcus describes how these little short-term changes with a long-term focus have added up to the results he’s achieved in his life up to this point. [15:44] How long-term focus has consistently put him back on the path to being one of the fittest humans on earth. [17:54] Marcus’s story of going from fit-to-fat-to fit which highlights exactly why quality can be such a powerful tool. [09:40] His really simple recommendations that he gives his clients for nutrition.